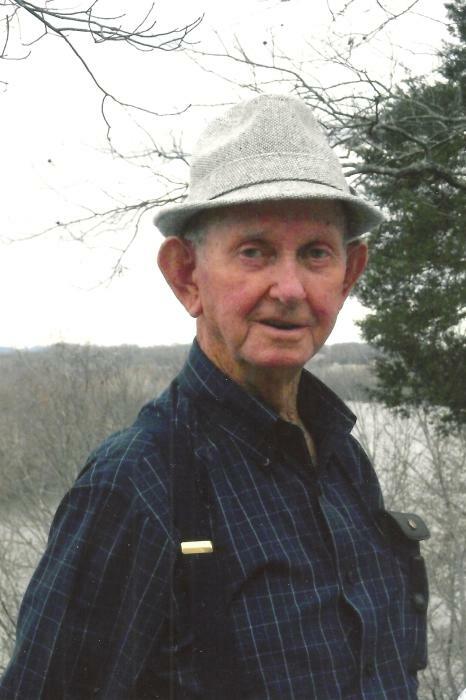 Mr. Thomas L. "Tom" Cripps age 88 of Alexandria, went home to be with the Lord on Saturday night, January 19, 2019. He was born April 22, 1930 to his parents, the late Livie and Pearl Elledge Cripps. In addition to his parents, he was preceded in death by brothers, Ray Cripps and Carl Cripps; sisters, Hilda Cripps, Allene Keith, Opal Jones, Josephine Cripps and Opha Turner. Mr. Tom was a Deacon and faithful member of Elizabeth Chapel Baptist Church since 1974. He served in the U.S. Army in the Korean Conflict and was a farmer and retired shirt factory worker. He is survived by his wife of 63 years, Georgie Cripps; daughter, Tammye (Gary) Whitaker; grandchildren, Matthew (Lindsey) and Tyler (Rebecca) and great-grandchildren; brother, Lloyd (Jessie) Cripps; sisters, Corinne Clark and Doris Rowland. Funeral services will be conducted 11:AM Tuesday, January 22, 2019 at DeKalb Funeral Chapel with Bros. Bill Robertson and Joel Wood officiating and burial will follow in DeKalb Memorial Gardens with Military Honors conducted by the Veterans Honor Guard. In addition to flowers, the family asks that donations be made to the Elizabeth Chapel Baptist Church Building Fund, in memory of Mr. Tom. Visitation with the family will be on Monday 2:PM until 7:PM and Tuesday 9:AM until the time of the service at 11:AM. The family would like to express their sincere appreciation to Avalon Hospice, Adoration Home Health, St. Thomas DeKalb Hospital, Family Medical Center, VA Tennessee Valley HealthCare System, NHC and the caregivers: Valerie, Frances, Belinda and Gail, for the wonderful care and love shown to Tom during this time. DeKalb Funeral Chapel is in charge of the arrangements.